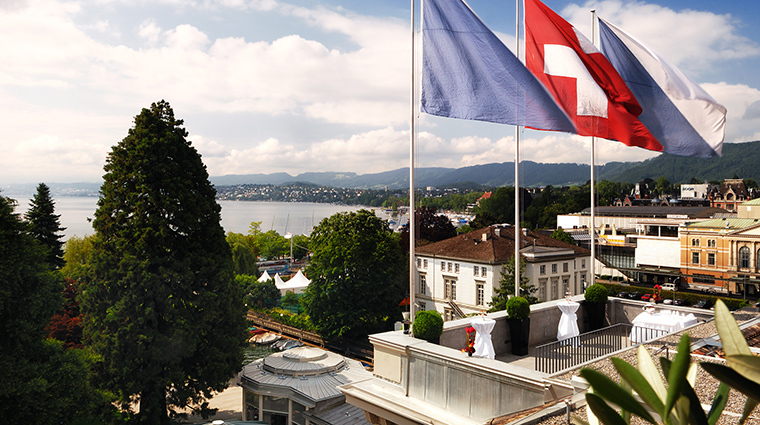 Located in the middle of Zurich, Baur au Lac first opened in 1844 and is still run by the same founding family. The luxury hotel is surrounded by the ever-busy city, but it sits within a garden and serves as an oasis of pastoral calm in Zurich’s center. Musicians from Plácido Domingo to Elton John and famed artists such as Marc Chagall and Joan Miró have all been guests of Baur au Lac. Located just off the Bahnhofstrasse, the most elegant shopping district in the city, the pretty Paradeplatz Park and nearby financial district, Baur au Lac is a magnificent place to hole up, dine and see and be seen. • Dining here is a fantastic experience and one of the main attractions of the Zurich hotel. • The impressive Lake Zurich is a few steps away where guests can take a paddlewheel sightseeing boat, go swimming or kite surfing, or just relax at one of the public beaches. • Baur au Lac is close to everything in Zurich. Public transportation is available nearby but strolling is just as easy and a lot more pleasant when you take in the romantic Schanzengraben Canal as it glides slowly nearby. • The on-property beehive produces exquisite honey and you can try it at the impressive breakfast spread. • During the day or at night, the elegant Rive Gauche Terrasse has breathtaking views of Lake Zurich and the Alps beyond. • Breakfasts at the hotel’s lauded restaurant Pavillon are lovely and worth lingering over. • Many impressive churches and museums are within walking distance, including the Grossmünster church, an icon of Zurich with its twin spires that date back to 1100. • Also within walking distance is one of the most intriguing sights in Zurich, the Fraumünster. Originally constructed in the 9th century, this old church was ruled by women abbots until the 16th century and is still a working church today. It features five stained glass windows created by artist Marc Chagall. • Nearby, Zurich’s cobblestoned Old City straddles the Limmat River and is full of narrow alleys, charming cafes, restaurants and antique dealers, bookshops, jewelry stores, and cafes. Note: many of Zurich’s restaurants, cafes and almost all shops are closed on Sundays. • The luxury hotel has 120 guest rooms that include singles, doubles, 27 junior suites and 18 full suites. 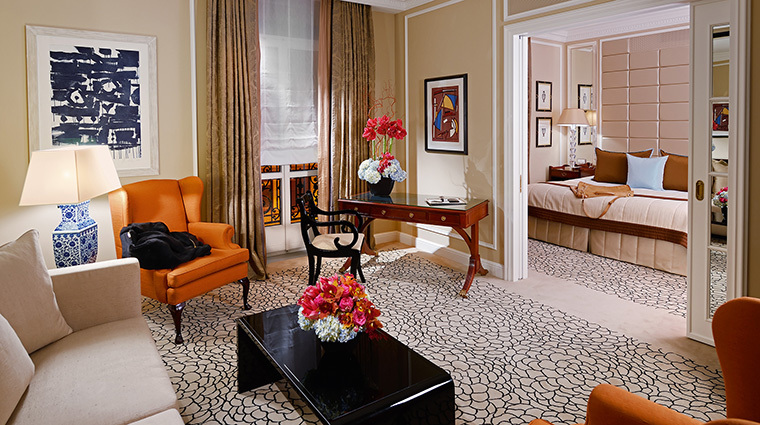 All rooms have custom-made furniture, marble baths and contemporary-classic décor that ranges from Art Deco to English Regency to French Louis XVI. • Rooms provide all the expected modern touches like iPod docking stations, heated floors and flat-screen TVs with 600 channels. • Turndown service is a treat — literally — with a presentation of the hotel’s own proprietary brand of Swiss chocolate. 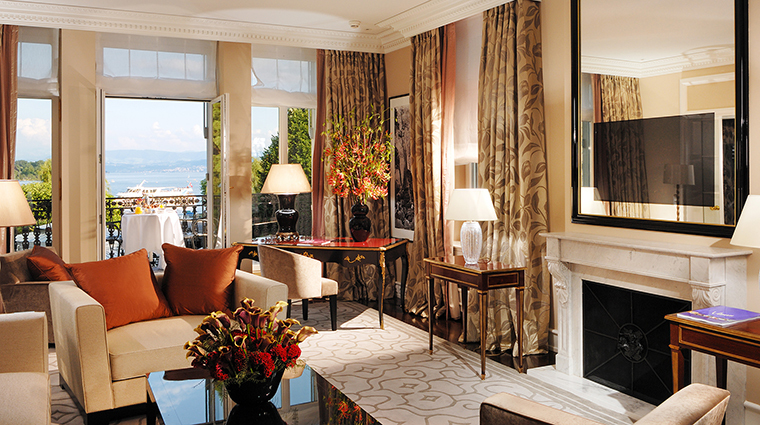 • Even though the hotel is in the heart of the bustling city, the rooms are very quiet. 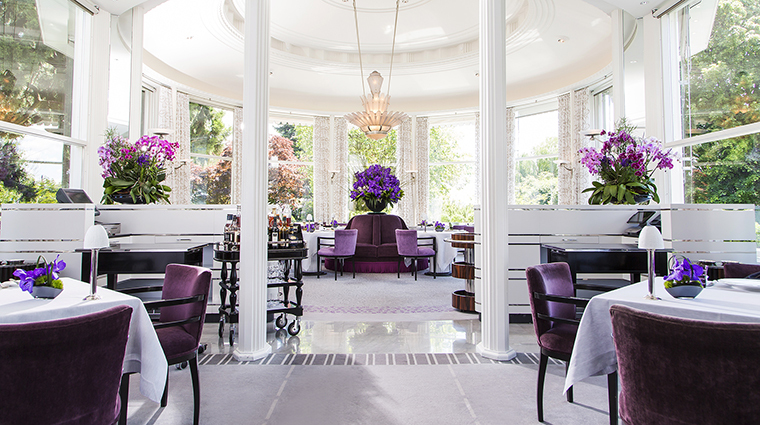 • Chef de cuisine Laurent Eperon expertly guides Pavillon, the property’s acclaimed semi-circular restaurant that serves classic haute cuisine and overlooks a massive lawn and the lake. The sophisticated, contemporary fare includes dishes such as parsley cream soup with sauvignon blanc and green apple; the Swiss classic côte de veau, expertly pan-fried veal cutlet drizzled with tarragon gravy and served over polenta with just a hint of mustard. The 3,000-plus wine list is impressive, too. • Not only will you enjoy Pavillon’s cuisine, service and view, but you likely will be dining alongside VIPs of all stripes — royalty, heads of state, various sheiks, film, music and soccer stars. 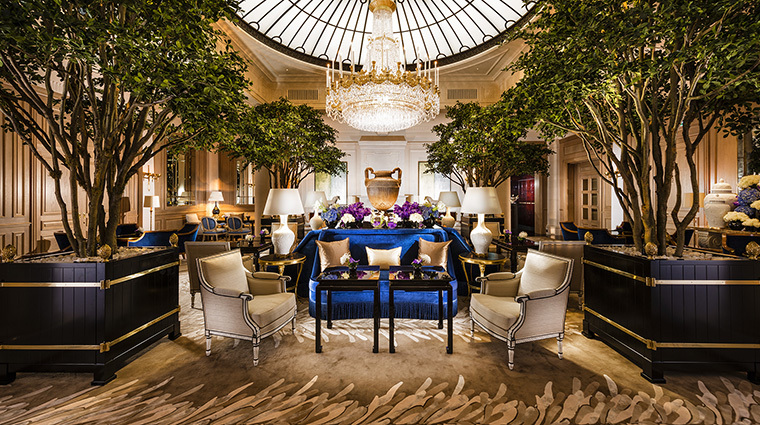 • Rive Gauche is the hotel’s smart brasserie offering fashionable fare. Less expensive than Pavillon, Rive Gauche seats many of Zurich’s younger set and thriving tech community. • Rive Gauche Terrasse is outside, adjacent to the manicured lawn and features light bites until midnight and some of the best people watching in all of Zurich. Terrasse overlooks Lake Zurich with views of the Alps in the distance. Don’t overlook the swans.